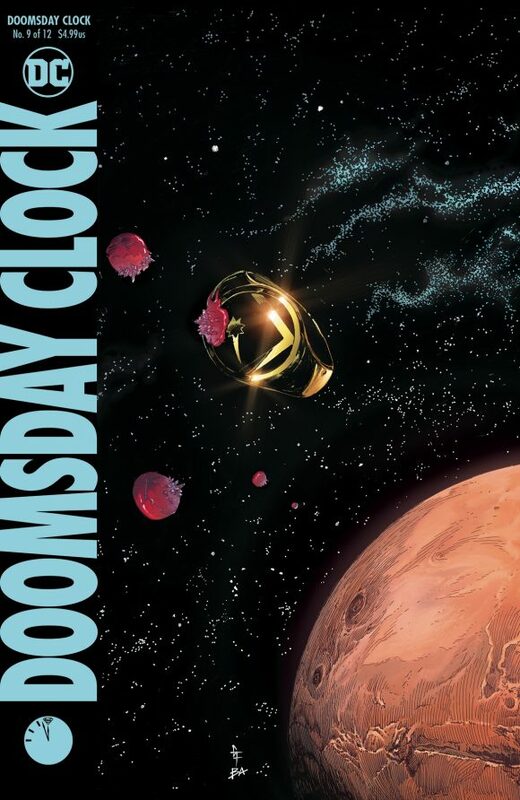 Doomsday Clock #9, DC. The move to bimonthly status has inhibited the impact of this series but make no mistake – major developments in the DC Universe are unfolding here. This issue by Geoff Johns, Gary Frank and crew promises more revelations about Dr. Manhattan. 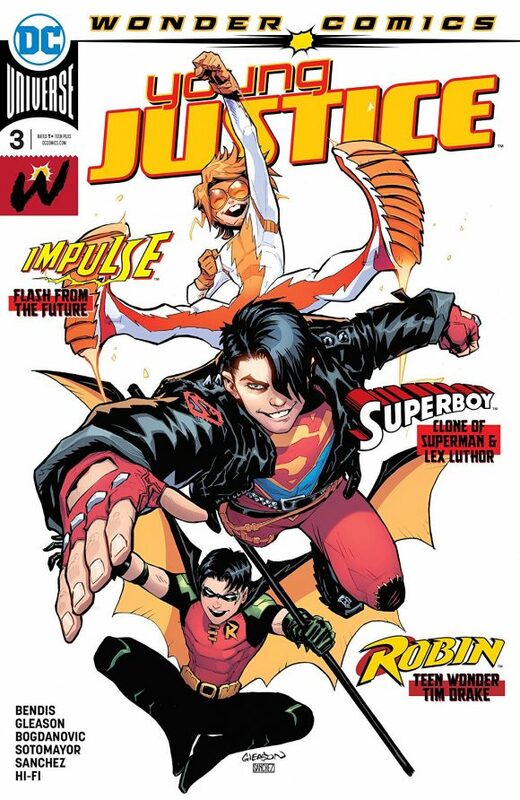 Young Justice #3, DC. Been wondering what happened to Conner Kent? Brian Michael Bendis, Patrick Gleason and crew have answers. 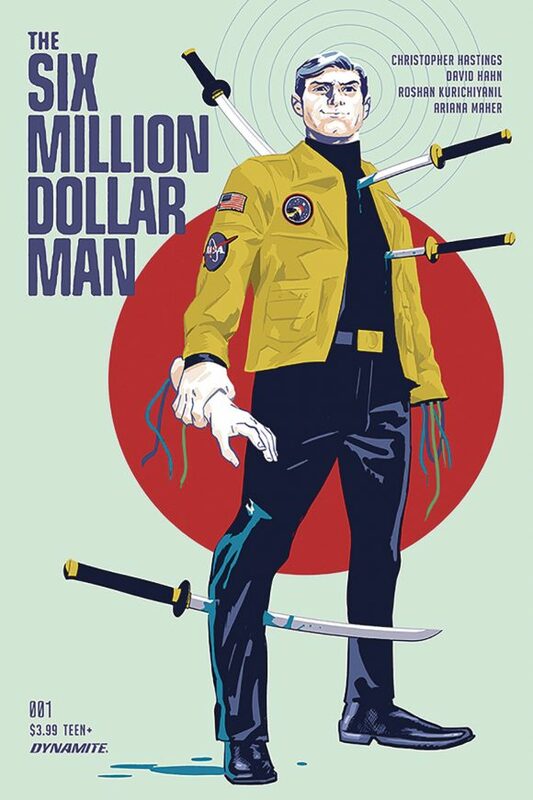 Six Million Dollar Man #1, Dynamite. Dynamite takes another shot at Steve Austin, with Christopher Hastings, David Hahn and their team of cybernetic engineers taking you back to the far-out ’70s. 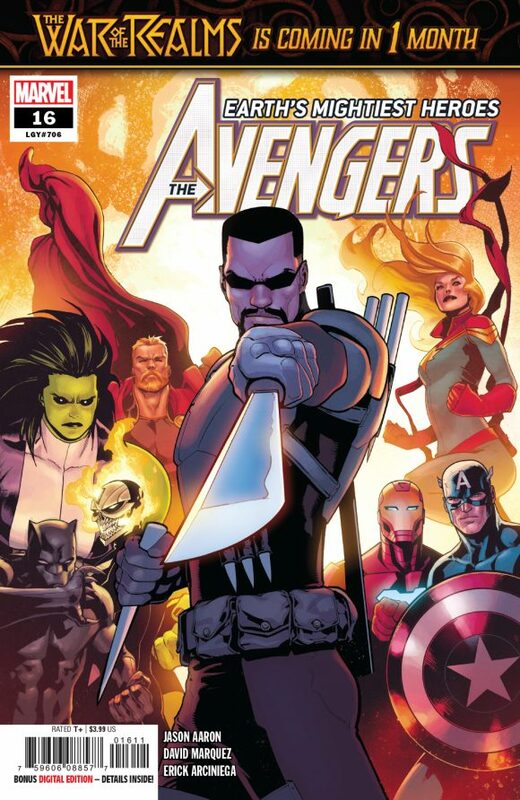 The Avengers #16, Marvel. Blade! From Jason Aaron and David Marquez. 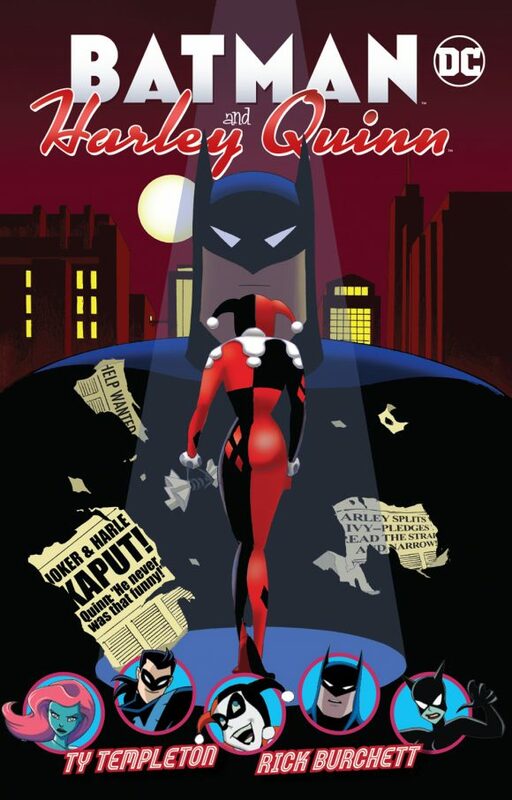 Batman and Harley Quinn TPB, DC Comics. Any time you have Ty Templeton and Rick Burchett on a Batman project, I’m there. 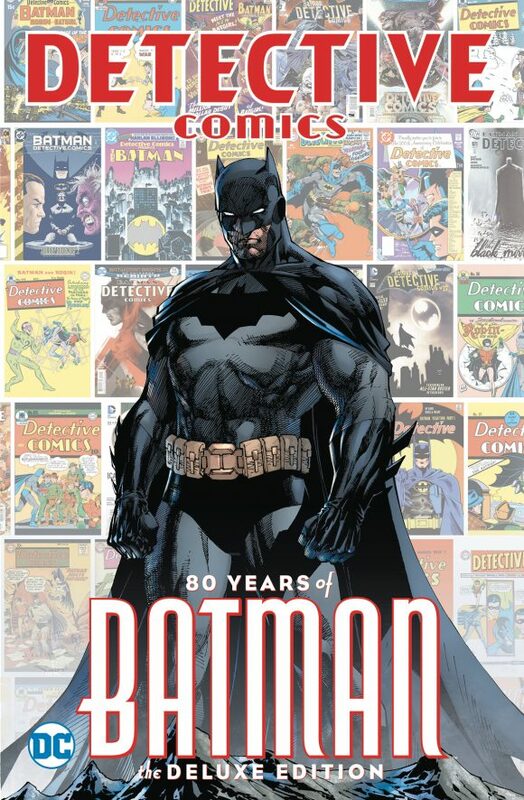 Detective Comics: 80 Years of Batman — The Deluxe Edition, DC. 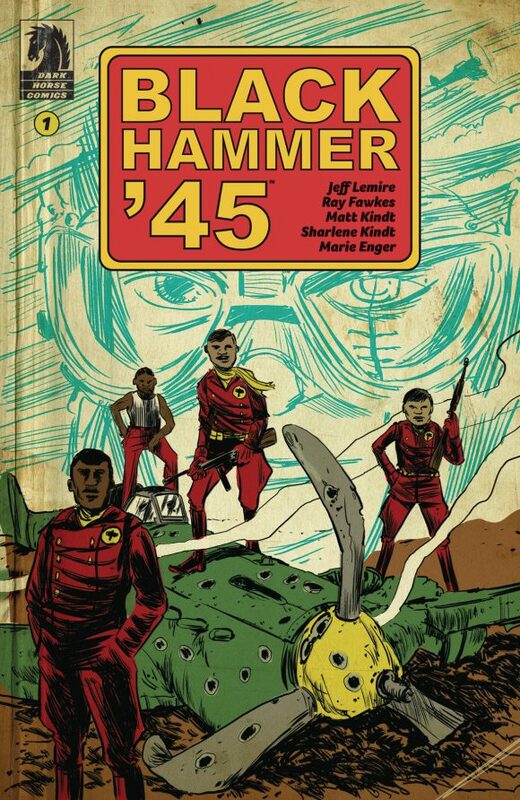 I’m just a sucker for these big hardcover multi-decade-spanning collections of a series or character, and this one looks great. I’m in. 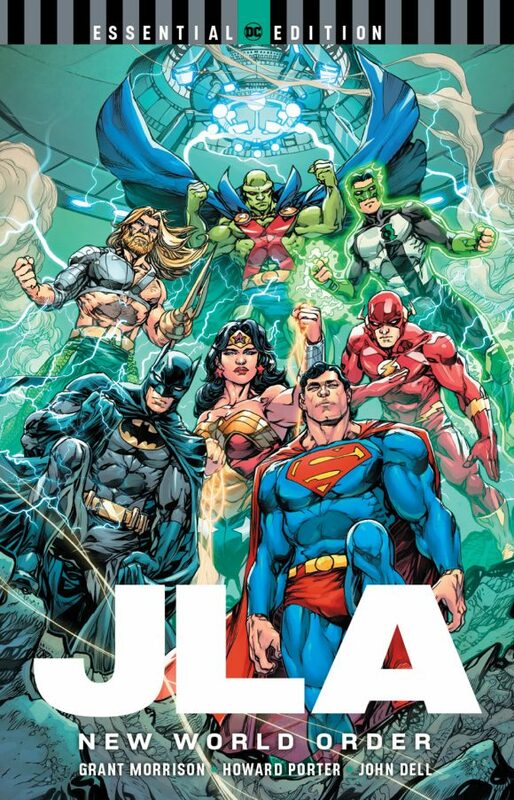 JLA: New World Order Essential Edition TPB, DC Comics. I feel like people have forgotten how great the Grant Morrison/Howard Porter JLA run from the late ’90s is. They shouldn’t. It’s probably the second-best version of the League ever, after the Gardner Fox originals. Fantastic Four Vol. 1: Fourever, Marvel. 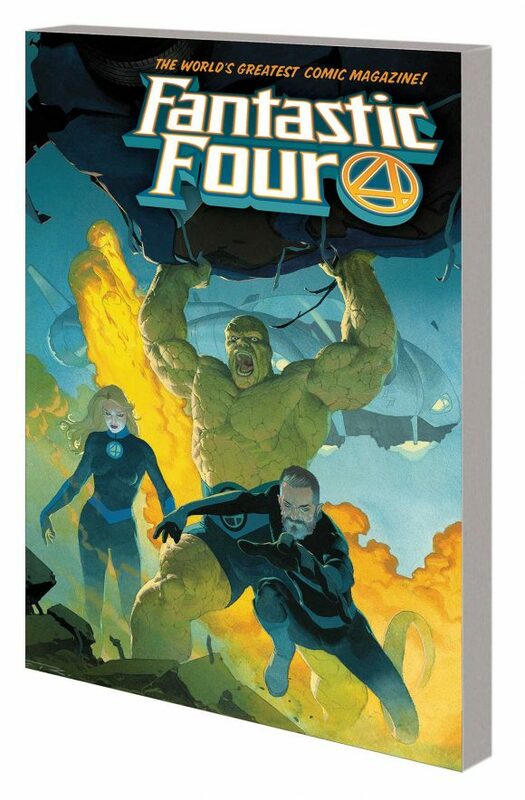 The return of the Fantastic Four by Slott and Pichelli has been outstanding. If you’ve missed it, this trade paperback is your chance to catch up.